Imagine a land where there are orchards up to the horizon. Wherever you look, apple trees grow. Is this a paradise? 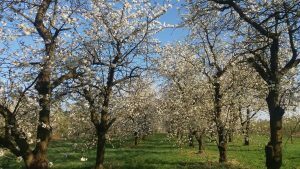 No, it’s Grójec and surrounding areas – the most important Polish region of apple cultivation and the biggest orchards in Europe. Iganców – a small village about 20 km from Grójec – is a home of Cydr Ignaców. 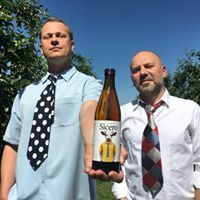 Tomasz Porowski and Marcin Hermanowicz – two enthusiasts of apples and cider – started producing cider in 2011 from apples grown in Marcin’s family orchards. They took advantage of law changes introduced in Poland in 2011. 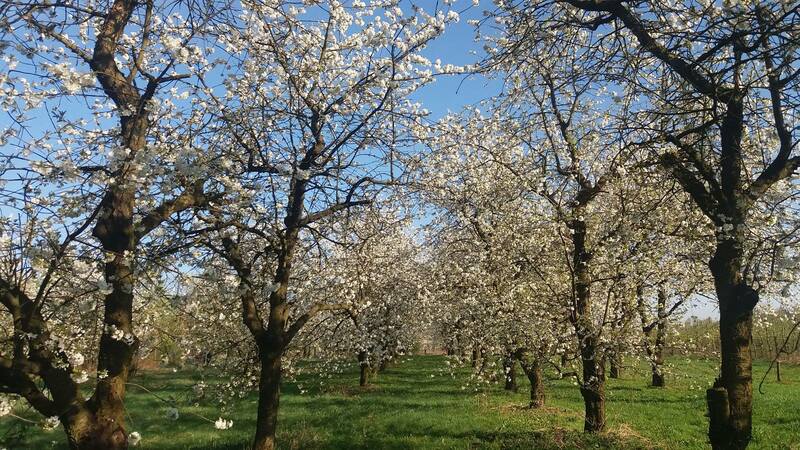 The so-called The Wine Act allow cider makers to produce no more than 10,000 litres of cider and perry a year and they have to meet other requirements, including having an orchard. This was an opportunity and a breath of fresh air because Polish law on the production and sale of alcohol is quite complicated. Hopeful and optimistic Tomasz and Marcin began to ferment apple juice. The first cider was bottled in 2012. Their Cydr Ignaców brand now has a loyal group of fans, critical acclaim and numerous awards. They sell their cider to the restaurants and bars in major Polish cities. Cydr Ignaców – semi-dry cider (ABV 6%) 275ml. Czarny Ignac – series of unpasteurised cider made from very old apple varieties with natural sparkle and matured in the bottle (ABV 7%), 750 ml. During the World Cider Day weekend (2-3 June) they introduced a new cider “Sicero” – unfiltered, mature cider made of old varieties from 2016 (ABV 7%), 0.5 ml. In the autumn they plan to start selling ice cider. They gained knowledge about the production of cider in the West Country – they had the opportunity to meet Tom Oliver, Mike Johnson, Keith Orchard and Julian Temperley who shared their knowledge and experience. Tomasz Porowski had also the opportunity to taste ciders in Normandy. They also appeared in Pete Brown and Bill Bradshaw’s book “World’s Best Ciders” – Tomasz read Bill’s blog and wrote to him about their cider and a new wave of Polish cider makers. Their ciders are among the few very good small labels on the market and we hope we will see more excellent ciders from Cydr Ignaców soon. Next Post:Exciting time for Polish ciders!